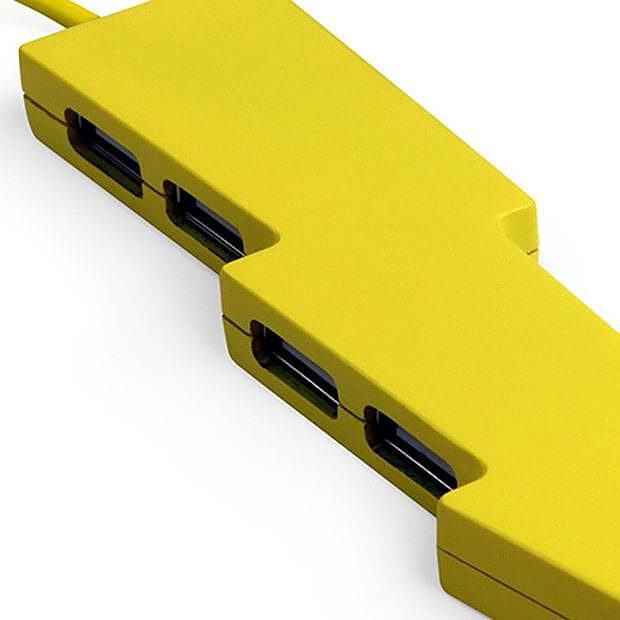 HomeBlogTechnologyKikkerland Thunderbolt Power Strip and USB Hub. 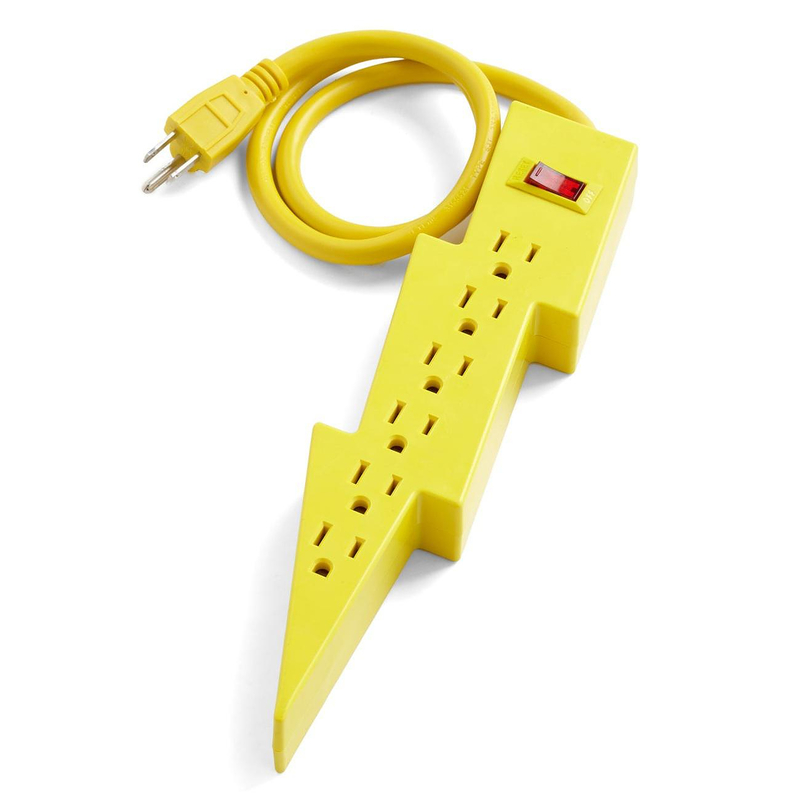 The Kikkerland Thunderbolt is a fun way to keep your home or office space organized and your electrical and electronic devices juiced up. 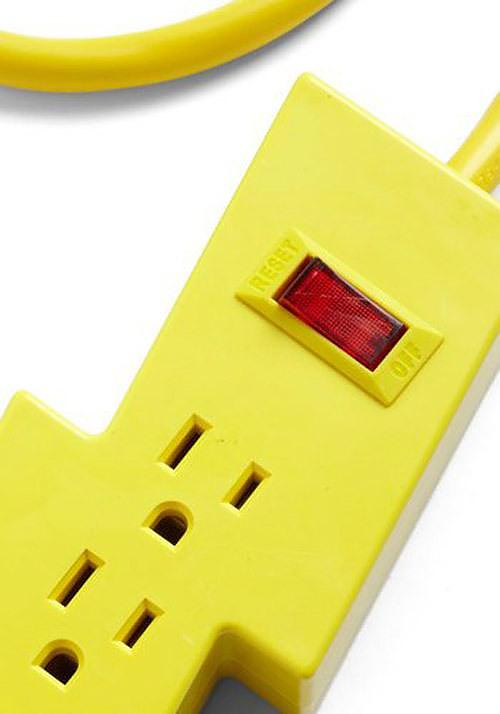 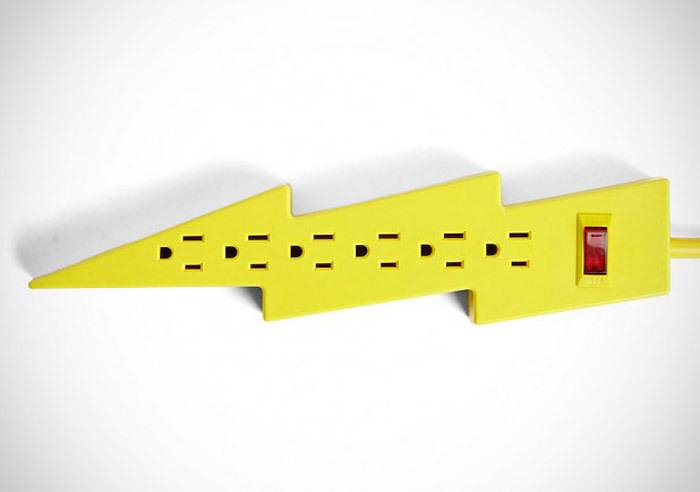 It comes as a Power Strip or as a USB Hub and is shaped like a bright yellow Lightning bolt. 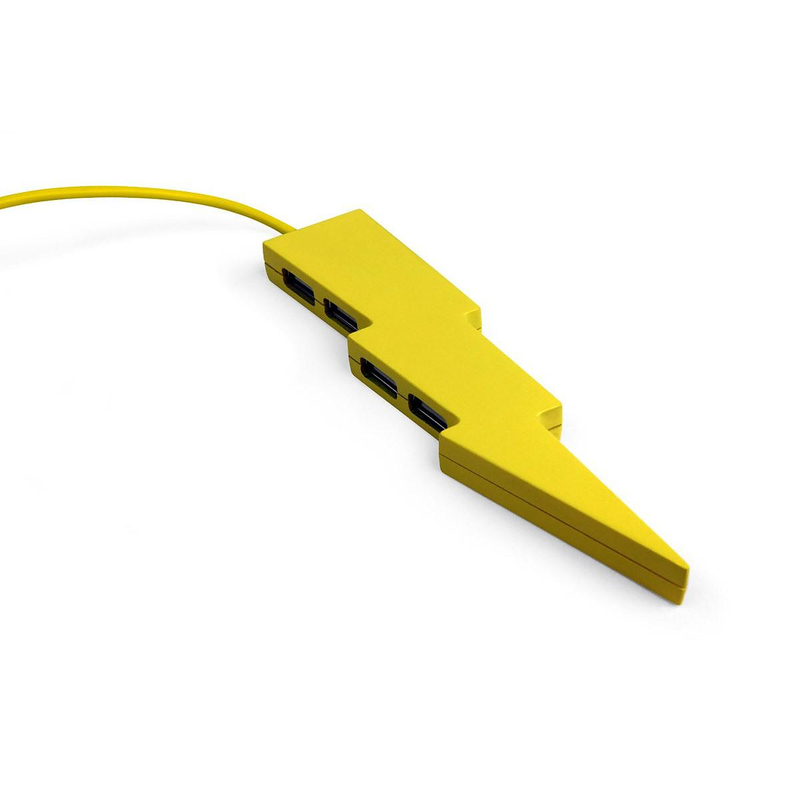 The little yellow USB Hub thunderbolt is equipped with 4 USB 2.0 hi-speed ports and is Windows and Mac compatible. 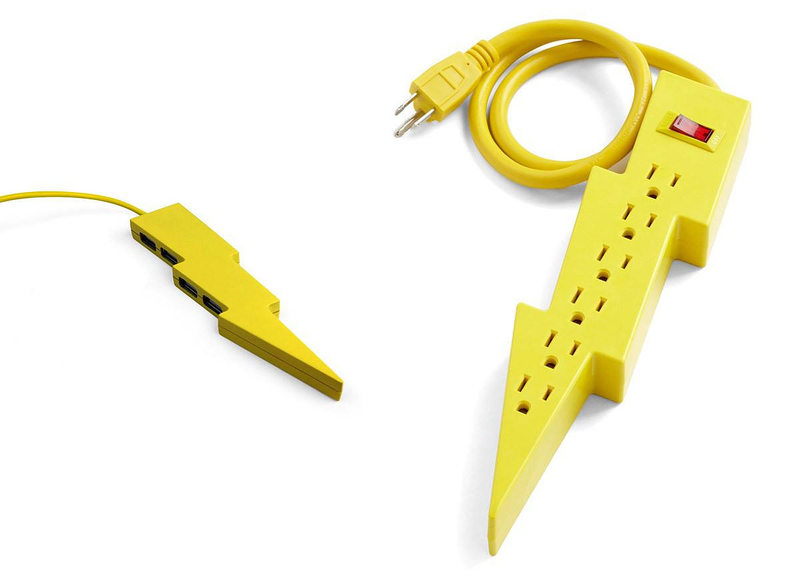 The power strip on the other hand is compatible with, well, the local power grid and it will power-up everything lightning fast! 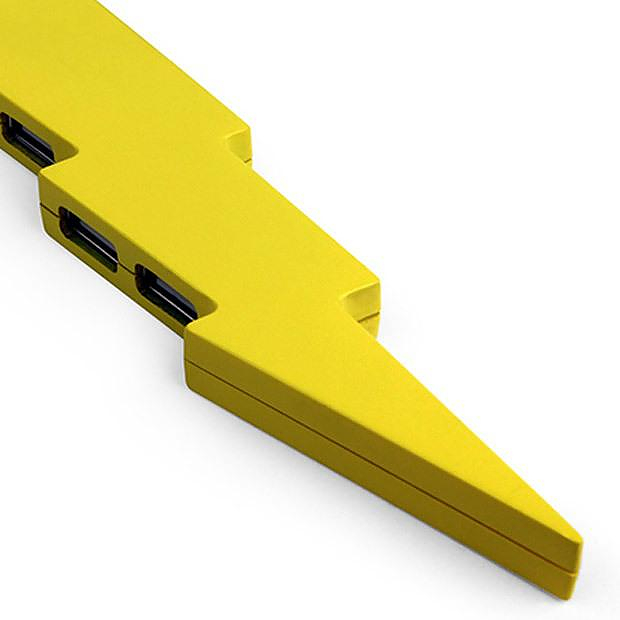 (Just saying).